Queensway Tunnel. 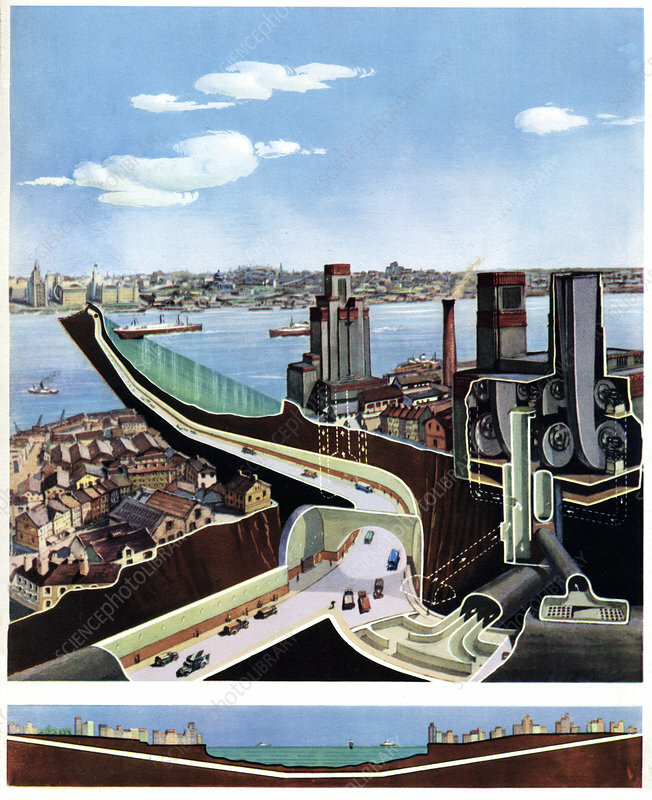 Historical illustration showing the layout of the Queensway Tunnel that runs under the River Mersey, between Liverpool and Birkenhead, UK. The tunnel was opened in 1934 and runs for 2.01 miles. At the time of opening it was the longest underwater tunnel in the world. Image from 'Wonders of Peace and War', by Geza Supka, Hungary, 1939.